Home ownership has long been considered part of the American Dream. While many young couples and families still aspire to become homeowners, an increasing number are opting to remain renters, either short-term or permanently. What's behind this shift in attitude? Even allowing for the lingering results of last decade's recession, activity in the housing market has been sluggish at best. During the first half of 2014 sales of both new and existing homes fell almost five percent from the same time period in 2013. Overall, the home ownership rate has dropped from 69% in 2005 to 64.2% in 2014 Q4. In the past year, more than 1 million new renter households were created by a 1.1% drop in the national homeownership rate. Most of the decrease is a result of younger people and families choosing to stay renters for a longer period of time. 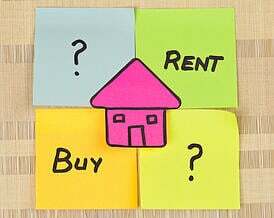 A survey by the Federal Reserve Bank of New York indicates more than 60% of renters expect to move within three years but only two-thirds of those people anticipate buying. This factor has major significance for two reasons: First-time home buyers traditionally account for up to 50% of home sales. In addition, movement from renting to owning is often a leading indicator of business and home price growth. Not surprisingly, the primary reasons behind this change are financial. When respondents in the Fed's survey were asked to give their reasons for renting, the top three issues cited were low savings, low income and low credit score. Less than 10% expressed the opinion that housing prices would drop. In today's economy it's difficult for younger renters to save enough money to cover a 5% down payment and closing costs, even for a typically modest starter home. Many of them are committed to paying off large student loan balances that make up a bulk of their debt totals. Banks and other financing institutions have pulled back the reins on mortgage loans in the wake of defaults following the recession, causing a perceived difficulty of obtaining credit. Home ownership is always going to be a goal for many. However, a survey conducted by Fannie Mae found that only 26% of renters are choosing that option as a way to prepare for home ownership. That's nearly a 10% drop from the previous year. Many individuals and families are finding renting to be a desirable and affordable option for their housing needs. At Springs Apartments, we know that you have a number of housing opportunities to choose from and we appreciate having you as members of our community. Our goal is to provide you with the comfort and convenience you expect living in a luxury apartment home. Please don't hesitate to let our team know of any questions or suggestions you may have.